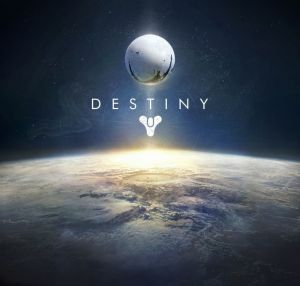 Developed by Bungie, creators of the Halo series which hugely contributed to the success of the Xbox, Destiny is an online first-person shooter that will take you across the galaxy as you fight to defend humanity with other players online. This is most anticipated release in the lifetime of the Playstation 4 so far. Although it’s available on other consoles, the version that I played was on Playstation 4. When you begin playing Destiny, you select a race and a class and begin as a Guardian, shooting things to save the human race. Seven hundred years in the future, the human race is under attack by a vaguely described group of space bad guys, divided into four groups. I won’t bother describing them because they are completely forgettable, much like virtually every aspect of the story and setting in Destiny. You are fighting to suppress alien invaders and recapture glory for the human race, even though by virtue of having your choice of race to play, you are very likely not even human yourself. Although shockingly little is described or explained in the game, the broad strokes painted by the storyline are reasonably fun. A moon-sized object called the “Traveler” hovers visibly above earth. It’s never really explained how it got there or what it does, just that it played a role in the rapid expansion of space travel technology. The promise and potential of this game was so grand. It sold itself as being a galactic world populated with people and places to explore, on a grand scale. What it actually turned out to be is a “shared-space” first-person shooter which means it completely lacks any kind of exploration. The characters and themes that are there are vague and undeveloped. The game is developed by Bungie, who has rightly built up a lot of credit over the last ten years through development of the Halo franchise. Although Halo has always been an action game, it has a significant story component that crucially supplements the frenetic action with a thoughtful narrative. No one thought that Bungie would drop the ball like this. I was hoping for a story along the lines of Mass Effect, which is like interactive space opera in the best way possible. This is nothing like that. Instead, it feels like you are pointlessly shooting everything that moves, almost without pause. The protagonist never asks any questions nor goes through a single journey that involves anything but incessantly shooting enemies. The presentation in this game is simply phenomenal, from both a technical and artistic standpoint. 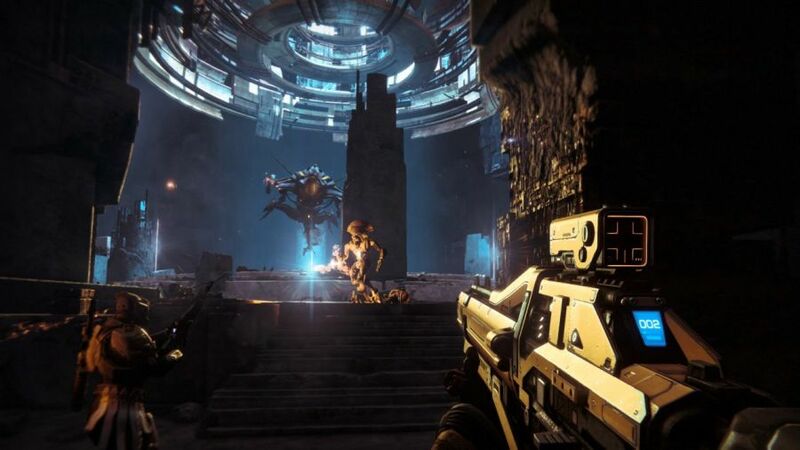 The user interface is pragmatic and pleasant to use, and everything looks and feels extremely slick and next-gen. One of the highlights of the experience of playing Destiny is the first time that you’re introduced to each new planet. They all have their own distinct feel and appearance, and are incredibly detailed and well designed. When you first play on the Moon, you can see earth, slowly but noticeably rotating in the distance. The soundtrack is equally amazing, from orchestral ambience to the pulsing music that accompanies boss fights. Visually and aurally, this is a showpiece. The legacy of this game has been significantly tarnished by the expectations that it would be a great leap forward for the genre of shooters. Instead of being a leap forward, it turned out to be a decent game, but certainly nothing to challenge the status quo. Is this the fault of the developer and publisher, or of people with unrealistic expectations? In my opinion, there is no question: it is the fault of the developer and publisher, whose misleading propaganda led to this becoming the highest grossing pre-sale game of all time. Upon launch alone, this game recouped $500 million, which is an absurd sum. One major factor in the story and narrative being Destiny’s obvious achilles heel is that the lead writer of the game, James Staten, quit Bungie in the fall of 2013. I still fail to see how it resulted in such a catastrophe, but it doesn’t seem that they were able to mount any kind of successful rescue mission for the piddling narrative that this game half-heartedly put forth. An interesting point is that the three most-hyped AAA games of this year were all cut-down immediately upon release: Titanfall by Respawn Entertainment, Watchdogs by Ubisoft, and now Destiny by Bungie. All three were commercial successes. This paints a distressing picture of the supposedly triple-A game market, which is evidently unencumbered by mediocre actual games when it comes to accruing record-breaking profit. I finished Destiny in about 20 hours and see no reason to go back and play it again. There are no characters to empathize with, no distant planets to explore, and no new experiences to be had. Before release, the Bungie Community Manager said “You may never finish Destiny”, clearly implying that the game has an astounding amount of content. The release of this game has proven that to be an outright lie, regardless of what events they periodically add to the game at this point. Destiny isn’t bad. In fact, in some ways it excels over all of its peers. The presentation and action is phenomenal. 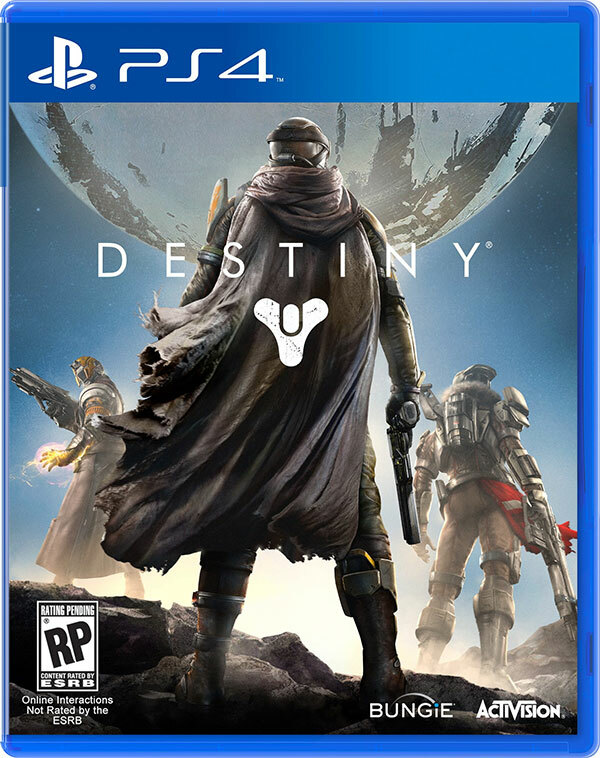 But in terms of living up to its potential, this is a dismal conclusion to the long-awaited release of Destiny.